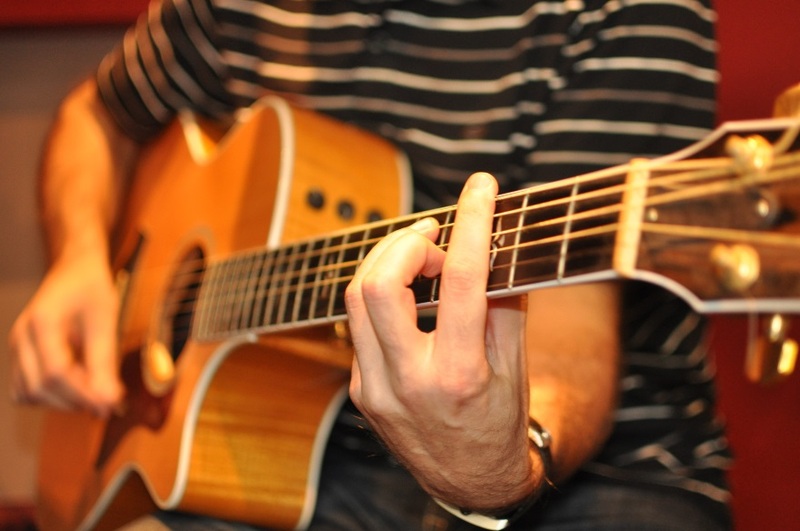 How Can You Choose The Best Pickup For Your Acoustic Guitar? INTERESTING FACTS EVERY STUDENT SHOULD KNOW ABOUT LIVE PROJECT TRAINING! Mostly beginners find it hard to determine which type of acoustic pickup would produce the best possible sound for their acoustic guitar. Each kind of pickup would carry its own set of benefits but eventually is a very personal selection that needs to be finalized by the guitar player themselves. Like it is with every other tool, each acoustic guitar pickup would present the sound in a unique style and type. This allows the musician and its guitar to evolve into a specific sound. What kinds of pickups are available for the Acoustic Guitar? The saddle is generally a piece of bone or plastic that sits in a slot on the wooden bridge. The saddle can be easily removed if required, though the bridge is glued to the top of the guitar. On most of the guitars, the strings are already placed over the saddle and then it passes through the bridge. Under the saddle pickups are generally quite thin material strips. A wire runs from the pickup to an output jack, by the strap which is at the end of the guitar. Some of the custom acoustic guitar pickups come with a pre-amp assembly kit that must be mounted within the guitar. Some people make use of glue or Velcro tape to adhere it to the inside of the instrument, alt ought it is possible to screw it on to the neck block. As the name suggests, the contact pickup is adhered to the top of an acoustic guitar. They can even be adhered outside, and even in the inside of the guitar. Mostly players prefer having the contact pickup as it is uncluttered, and does not affect the guitar’s playability. For this purpose, a hole must be drilled from the jack and this can be quite unacceptable for a big number of guitar players. The Soundhole pickups are wedged or clamped into the natural soundhole of an acoustic guitar. This is considered to be the most common approach of amplifying an electric guitar as it is quite easily accessible for all types of acoustic soundholes and does not require a great deal of installation as well as modifications. It also does not affect the guitar’s playability. It is highly recommended that you try different pickups yourself. Due to the number of manufacturers as well as the options that are available in the market, it is surely the best approach to give all pickups a try and then experience the sound type you can actually create by using each one of the acoustic pickups in your guitar. Browse through https://trustyguitar.com/acoustic-guitar-pickup/ for more details.